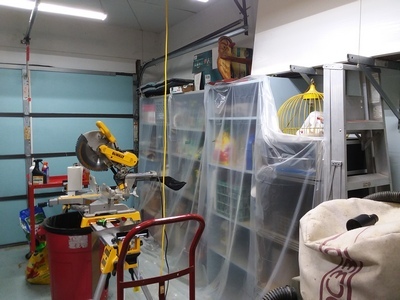 One of the first things to be done in the garage, after lots of boxes were emptied, was adding hooks for brooms, etc. 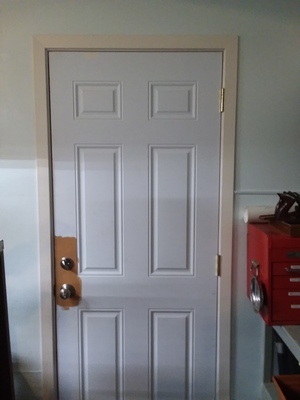 New side door needed trim; still deciding on paint color for inside of door. 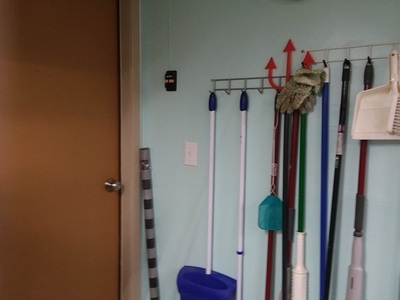 The door was installed 02/2013, trim 08/2013. 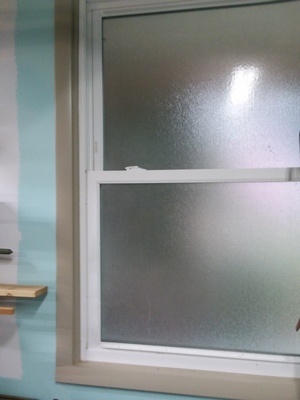 The new garage window needed much work to be able to get it trimmed (09/2015). 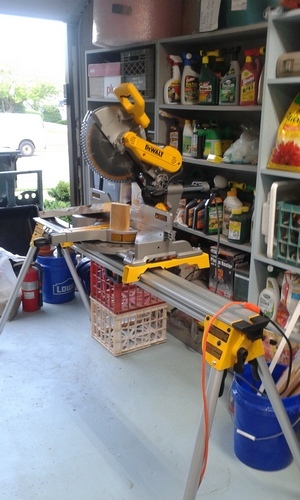 My 2016 indulgence - Dewalt compound miter saw. Painted the garage floor, too. Little by little the walls and doors are getting painted. 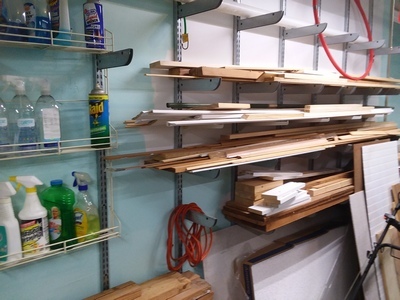 The plastic sheeting keeps most of the dust from the shelves. 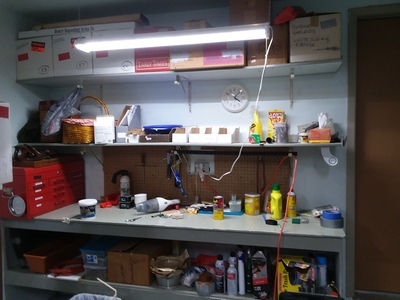 Three LED shop lights hang from the ceiling.